Wondershare Filmora allows you to cut, edit, merge, and trim clips. Furthermore you will able to add your favorite music dircectly into your movie to create the perfect atmosphere. Also you can create beautiful animated messages from text and titles library. This Wondershare software also allows you to import video clips of various formats, then save them to the disk as a different type of file. You can save videos to play on portable devices like iPhone, iPad, iPod, etc. or burn DVD for better video preservation. Another option allows you to share instantly with family and friends with easy upload to Youtube, Instagram, Facebook, WhatsAPP, etc. Wondershare Filmora allows you to turn your home video into something extraordinary with minimal effort. In addition, expand your imagination with over a hundred unique visual effects. No matter it’s a wedding video, love movie, travel story, life documentary or party record, it is just so easy to turn it to a treasured home video and share it with everyone! 4K Editing Support. Edit and export videos at resolutions of up to 4K. GIF Support. Import, edit, and export .GIF files. Noise Removal. Remove unwanted background noise easily. Reverse. Flip your clips and play them backwards. Social Import. 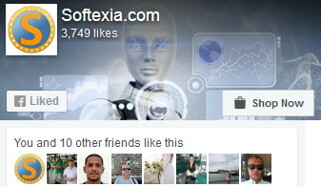 Import photos and clips directly from Facebook or other social media platforms. Precision Speed Control. Make your clips up to 100 times faster or slower. Perfect for time lapses. Frame by Frame Preview. Jump through your audio and video tracks one frame at a time for precise editing. Color Tuning. Adjust the white balance and dynamic range of your clips. Pan and Zoom. Add panning and zooming movements to still footage. 1:1 and Portrait Support. Edit videos with aspect ratios of 1:1 (square) or 9:16 (portrait) with no black frame. More Music and Text Layers. Add up to 5 text tracks and 10 music tracks to your timeline. Camera Shake. Choose from a variety of camera shake effects and apply them easily. Get a professional-looking movie in minutes. Take your video to the next level by adding impressive Still and Motion Graphics. Transform a movie into something spectacular with handcrafted, overlays and filters. Wondershare Filmora allows your Videos an Photos to Trim, Hue, Merge, Crop, Rotate. In addition, you will able adjust Brightness, Saturation, Contrast, Aspect Ratio and Speed (0.2X-5.0X). The software also include the audio editing options, such as Trim, Split, Volume, Fade In, Fade Out, Voiceover, and Speed (0.2X-5.0X). Up to 100 Video Tracks. Organize your media in up to 100 full video tracks and create compositing effects. Apply filters, transitions, and other effects to any track. Faster Import and Export. Import and render media at a higher speed. High Resolution Previews and Snapshots. Preview your video with more clarity and capture high resolution still frames. Enhanced Chroma Key. Achieve better results with a green screen tool that gives you more control. Enhanced Video Stabilization. Smooth out shaky footage with the upgraded stabilization tool. Adjustable Playback Quality. Reduce the resolution of your video preview for a smoother editing experience without affecting the quality of your exported videos. PC/Mac Cross-Compatibility. Start projects in a Mac or PC version of Filmora9 and continue working on them in either OS. Enhanced Waveforms. Edit audio cues with more visible audio waveforms. Envelope/Keyframe Audio Editing. Adjust the volume of an audio clip within the timeline, using keyframing to make multiple adjustments within one clip. Up to 100 Audio Tracks. Organize your music, dialogue, and other audio clips in up to 100 timeline tracks. Adjustable Track Size. Choose from 3 track sizes: small, normal, and big. Larger tracks are especially useful for audio editing as the waveforms become larger. Adjust Clips within the Video Preview. Flip, rotate, scale, and move any video clip or image within the preview window.